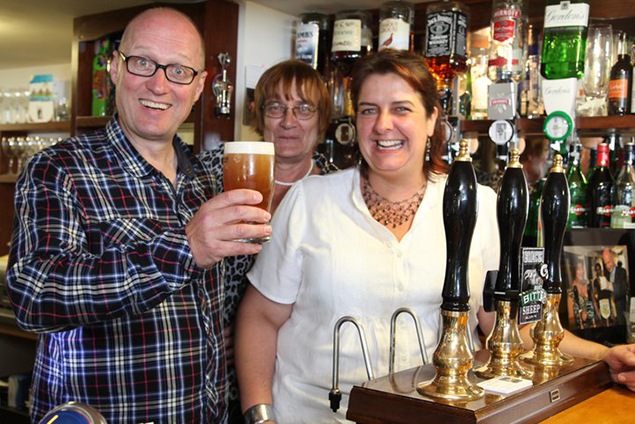 May I take this opportunity to thank you so so much for all the fabulous design and artwork you have created for Yorkshires first community pub – The George and Dragon in Hudswell, North Yorkshire. For your advice regarding designing a flyer for the pub, when we first opened in 2010. For all the other fantastic things you have provided us with, including a flyer to raise awareness of the revival of the village fete and melodies in the meadow music festival. I know I don’t describe very articulately what’s in my head or how I visualise something I need doing, but every time I have suggested what I need you come up with the goods and go a step beyond ! Thank you for providing much more than a creative design solution, all your support for us personally and by sponsoring Yorkshires first community owned pub! Landlady of The George and Dragon in Hudswell, North Yorkshire.